BenCotto is open from 11 a.m. to 11 p.m. Sunday through Thursday and from 11 a.m. to midnight Friday and Saturday. Tomato sauce, oregano, Pecorino Romano cheese, garlic, extra virgin olive oil. Cooked to crispy perfection! We were late and they were very gracious and had our table waiting. Booked a reservation for a party of 8 on a Saturday, which can be challenging. We arrived early but did not have to wait long for our table. We had a couple of minor issues, but our waitress was excellent and took care of everything. Food was delicious and the portion sizes were generous. We aren't fans of "tiny food" so we were pleased. Would definitely return in the future. We had reservations for 6:15 on a Saturday night for 2, although when we arrived our table wasn't ready so we decided to sit at the bar. The bartender was nice, however very very slow. It was obvious he was extremely busy and had no help. It took almost 15 minutes to order our food and drinks (after given water). It is a very tight place esp at the bar. Also, the manager was heard yelling at the bartender about how he was pouring our beer. Very unprofessional if you ask me. The food was just alright, nothing too fancy. Would go back maybe on a quieter night. Great food and service. Best pizza I've had in a long time by far and my dinner guests LOVED the Bolognese with the homemade fusilli. Definitely go there. From the fig salad to the sausage pizza and lemonchello cake , the food was very good . Our server did an excellent job keeping up with is in a crowded restaurant. We had to wait a little longer than expected for our table, but they kept us informed. The four of us thoroughly enjoyed our cocktails, salumi board and all of our entrees. Mine was an evening special, stuffed veal chop. It was amazing. Amazing per usual! Went for lunch this time with colleagues and everything was delicious. Great food and service would go back, but even with a reservation we had to wait 25 minutes to be seated. We had a larger than usual party do we were in the basement. it was still nice but not as nice as being upstairs and looking out at Hannover. 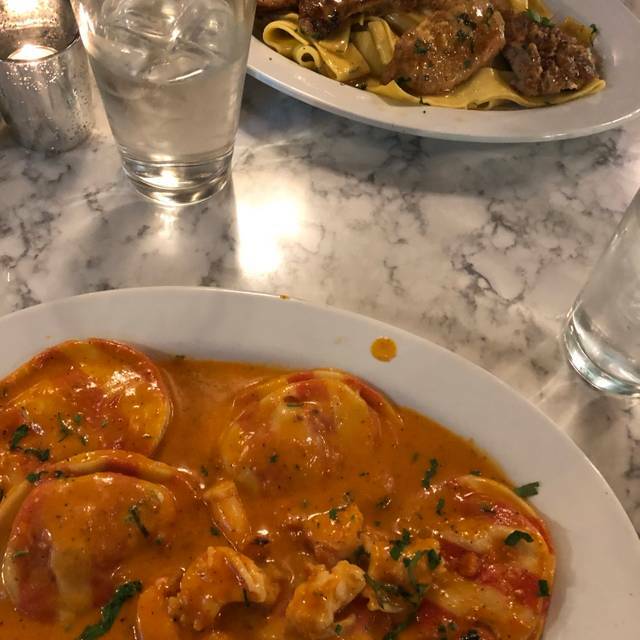 Easily the best food we have ever enjoyed in the North End. Staff was extremely friendly and the basement seating is uniquely fun dining experience. First time eating at BenCotto and to be honest, the food was amazing. I was here with five of my friends and we started by ordering some Bruschetta and Calamari to share between all of us. 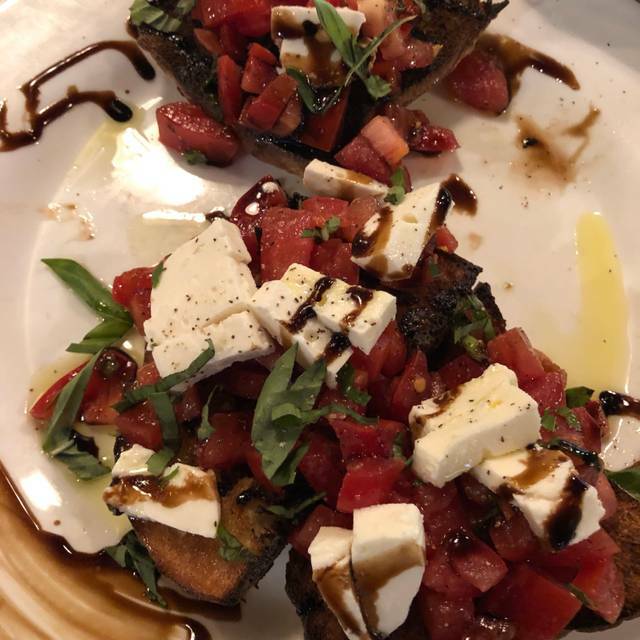 The Bruschetta was definitely one of the best I have ever had. We all ordered some type of pasta dish for our entrees and all of us were certainly satisfied. The atmosphere of the restaurant is very quaint and makes you feel at home. The restaurant is not very big in size but it was not an issue at all, my friends and I were able to enjoy a great dinner together. The only downside we had about this place was that half of our party got to the restaurant before the others and the restaurant would not let them wait inside, but instead made them stand in the freezing cold. Meanwhile, we had a reservation so why could they not be seated at the table we reserved while waiting for the rest of our party? All in all, the food here is unbelievable and I highly recommend this place for anyone seeking a nice authentic Italian meal. A wonderful dining experience through and through. The service was very attentive and quick for our large group and the food was delicious. My colleagues were still thanking me the next day for bringing them to a new place instead of the same old places near the office. Will absolutely come back next time we are in town for work. Amazing food in a small and relatively loud space. Food was very good but the layout of the restaurant with the kitchen in the middle and poor ventilation resulted in greasy/smokey air which was unpleasant. We had to wash all our clothes and coats to remove the greasy/smokey smell. The menu is amazing! It was hard to decide what to order. When I finally decided, the food I did order was amazing as well as my friends dish. The lights were on full brightness, it would have been nice to dim them down a little, create more of an ambiance. We made a reservation for 7:30pm and had to wait an hour before being seated. Every time we asked about our table we were told that they were going to check on it. After probably the 6th time asking for a definite answer The owner came out and apologized and said he would “take care of us”. A full hour later (8:30pm) of waiting outside in the cold, we were sat and given some excuse about a party not leaving that delayed our reservation. Not my problem but they felt the need to repeat this over and over again. We got one free app ( which we didn’t even get to choose) after we had already ordered a few apps. Food took a long time to come out. Delicious Food, definitely recommend the pizza! However, we had a 7pm reservation, and they did not seat us until 7:45. We had to wait outside because the restaurant was too small, which was fine because It was not too cold that night. Also, the seats were so crammed together, that the waitress could barely get to us, so there was a delay in that aspect as well. Small but cozy environment. Not the place to stretch out and get comfortable though. The food was very good and the price was slighter lower than other North End restaurants. I would recommend for a quick, casual dinner. Second time, and as with my previous visit the food was outstanding. 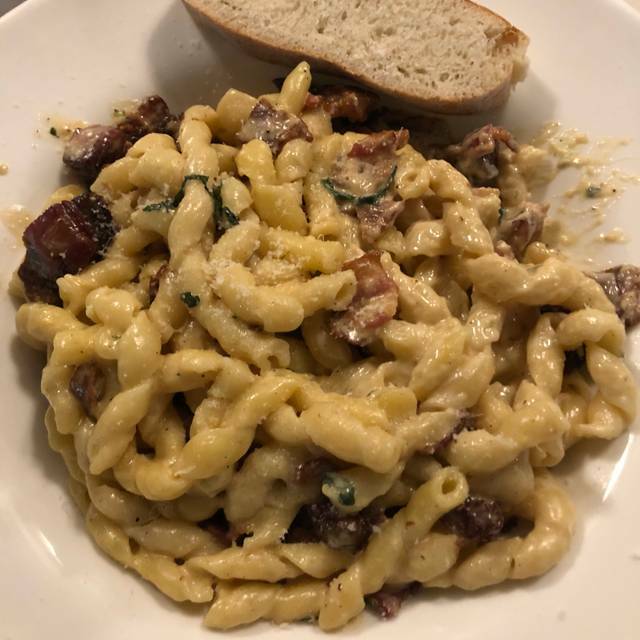 I can highly recommend the carbonara - it was perfect, not to heavy and not too light. Our visit this time was on a Monday night, and with only one other party there the service should have been more attentive. The atmosphere when virtually empty does not offer much ambiance, but I am guessing that my rating for this would go up with a full restaurant - so I was being honest, but it's not really a big deal. 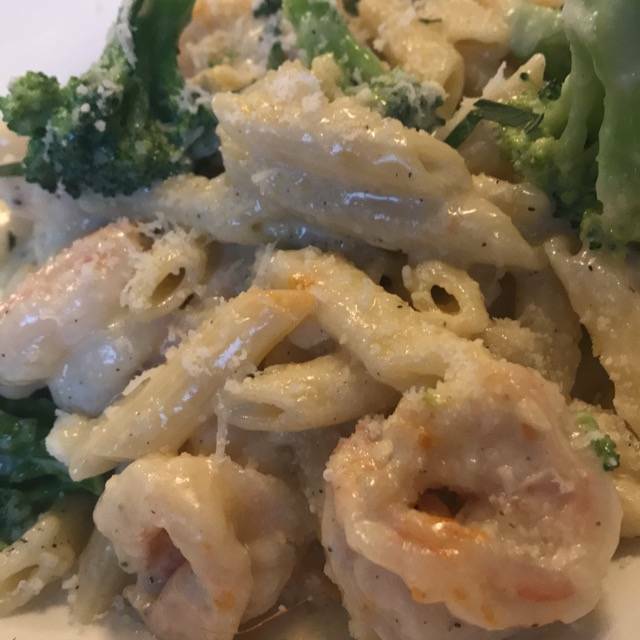 I do recommend BenCotto highly for their food - so give it a try and enjoy! Such a lovely evening. The staff was friendly and accommodating. The food was amazing and had generous portions. I would definitely recommend! BenCotto is an absolute favorite of mine. Whether I dine with my husband and family, or with my clients, I’m always satisfied. 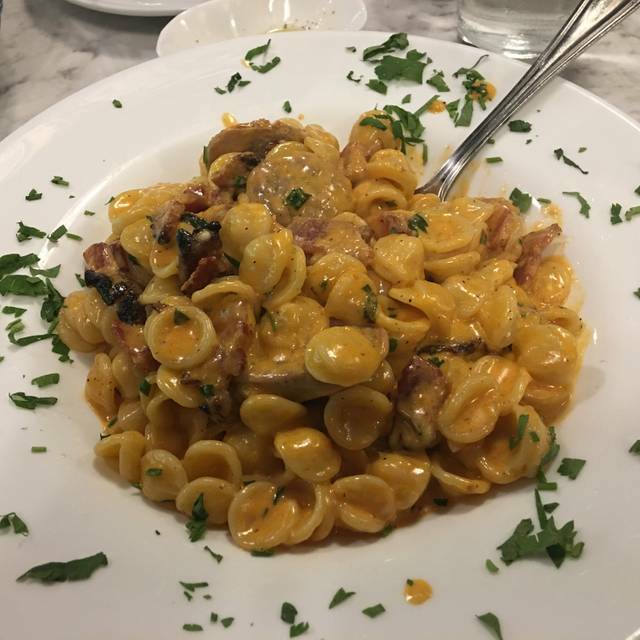 For someone who has eaten her way through Italy and Sicily, I can say that the food is always fresh with wonderful flavors to please any palette. In addition, the people at BenCotto are always welcoming and warm. Living nearby and going to the N. End quite a bit, there are many options, and I’ve chosen BenCotto about 80% of the time. Cannot go wrong, enjoy! This was my second trip to the restaurant. The first time was wonderful, but this visit was disappointing. The restaurant was pretty empty since it was the Monday evening after the Super Bowl. Only 3 tables were occupied so the chefs weren’t overwhelmed, but my clams were overcooked and the linguine was floating in oil. The servers did a great job, though. This was my 4th visit. Always consistent. Great affordable food, great service and, per usual: cramped, loud and intense fluctuations in temperature. Despite the ambiance, I will definitely go for a 5th visit. While the food itself was fine at best, the experience we had with the hostess was enough to ruin the meal. We had a 6pm reservation through Open Table, and expected to wait a normal amount of time for the table to be readied. What followed was a collosal waste of time. We checked in with the hostess upon arrival, and then were forced to wait 45 minutes outside in Boston winter temperatures. My boyfriend checked in with her twice asking what the issue was, and she said not to to worry just 15 minutes longer (she said this to us 3 times). She seated two men ahead of us who had a 6:30 reservation because they "were going to the Celtics game"--totally unprofessional. The food wasn't good enough for me to return here after this experience. Great, family-friendly service. We loved the starters - calamari and bruschetta with broccoli rabe - as well as the “primi” - gnocchi with pesto and with bolognese sauce. Will definitely come back to try other menu items (the melanzane alla parmigiana looked delicious). Love love love this restaurant!!! Carbonara is the best I’ve ever had and I’m Italian. My favorite place to eat in the North End! Great service! Wonderful food! We made reservations and didn’t get seated until 8PM so we didn’t eat until like 8:45PM which was frustrating. What’s the point of reservations if you have such a wait? Food was delicious and our waiter was nice. My husband has missed his grandmother's cooking since she passed five years ago, and this brought her back to him. 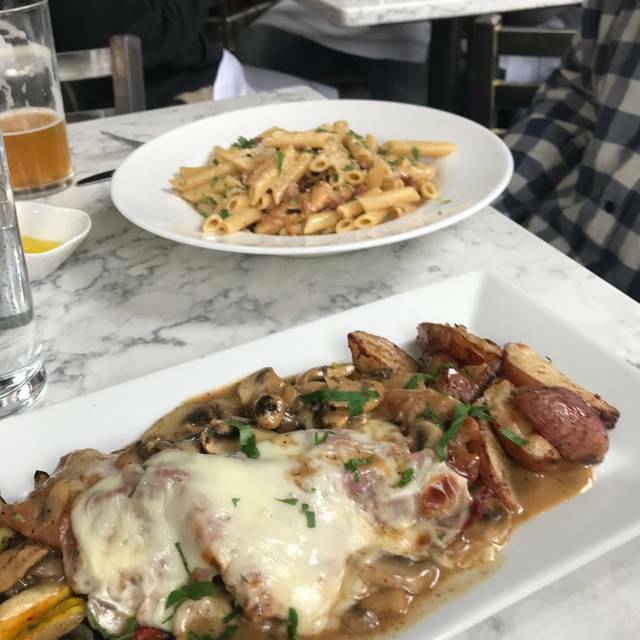 Their Eggplant Rollitini appetizer was the best we've ever had in a restaurant (most authentic homestyle) and their Veal Chop special was thick, juicy, perfectly cooked while maintaining a thick, crispy breading. Small spot - feels like you could be in someone's home - and an open kitchen make for a super fun meal.